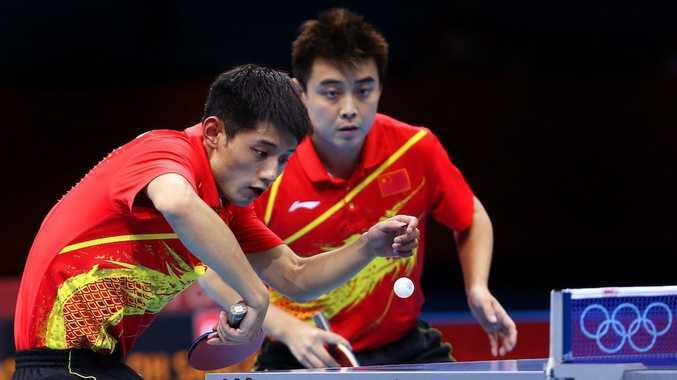 CHINA has completed another sensational clean sweep of the Olympic table tennis competitions after wrapping up the final gold medal on offer. Four years after dominating Beijing, the Chinese contingent have again won every gold medal on offer at these Olympics. Overall the Chinese have won four gold and two silver in London. The final piece fell into place after Ma Long, Zhang Jike and Wang Hao secured the top spot on the podium by defeating South Korea in the men's team's gold medal match. The bronze medal went to Germany after it beat Hong Kong.